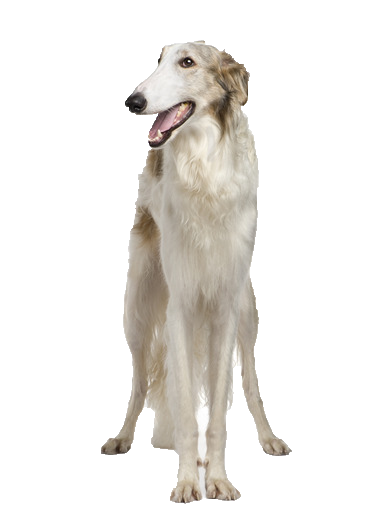 Your Borzoi is a gentle, loving companion and a quiet and well-behaved member of the family quite demanding of attention and affection. It is not unusual for him to try to creep onto your lap for cuddles. His calm nature and sweet temperament make him good with children and he enjoys the company of other dogs but must be cautioned with cats and other smaller animals due to his strong hunting instincts. He will not be caught once he has his prize! Due to his size and speed, basic obedience and commands are essential, especially as mischievous habits start to emerge like opening doors and fridges! Chanel this behaviour into prize based activity games with our great choice of toys.